Definition at line 3364 of file commctrl.h. Definition at line 3366 of file commctrl.h. Referenced by AddEntryToTree(), CTreeView::AddItem(), enum_store_callback(), enumerate_stores(), InitTreeViewItems(), insert_content_item(), InsertItem(), InsertTreeViewItem(), msi_seltree_add_child_features(), BtrfsDeviceAdd::populate_device_tree(), show_cert_chain(), Tree_Item_Copy(), and TREEVIEW_InsertItemT(). Definition at line 3365 of file commctrl.h. Definition at line 3369 of file commctrl.h. 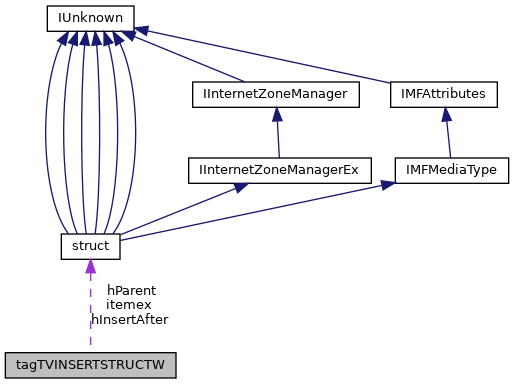 Referenced by AddEntryToTree(), CTreeView::AddItem(), enum_store_callback(), enumerate_stores(), InitTreeViewItems(), insert_content_item(), InsertTreeViewItem(), msi_seltree_add_child_features(), and show_cert_chain(). Definition at line 3368 of file commctrl.h. Referenced by InsertItem(), BtrfsDeviceAdd::populate_device_tree(), Tree_Item_Copy(), and TREEVIEW_InsertItemT().